Nancy Pelosi is the queen of hypocrites. 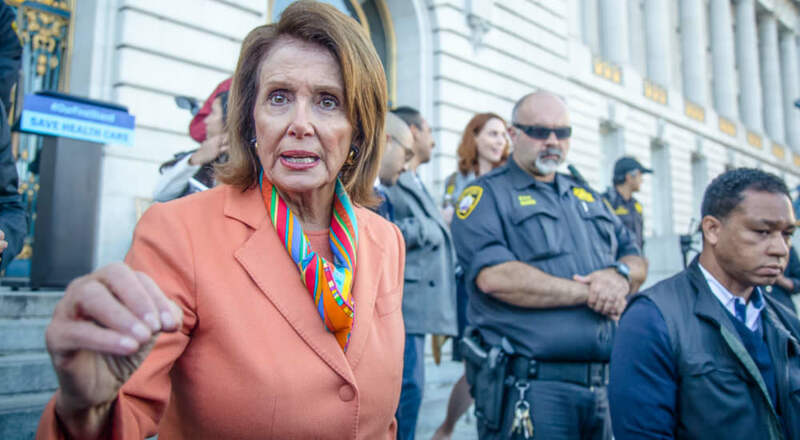 In a speech at a rally in Los Angeles, she actually quoted the Bible as part of a larger effort to undermine and shame President Donald Trump’s (and the GOP’s) policies on welfare, immigration, and refugees. What makes the display even more disturbing is the fact that Pelosi is an ardent supporter of abortion on demand, and even supports late term and partial birth abortion. What is most shocking is that Pelosi and her supporters seem blind to the disgusting and hypocritical nature of their beliefs.